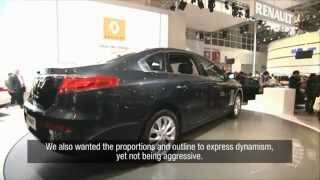 During this year's Beijing Auto Show, Renault revealed a high-end luxury sedan targeted towards the Chinese automotive market. 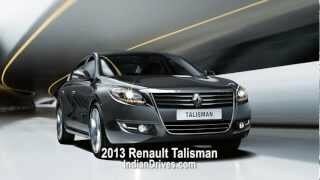 Renault is planning on establishing a foothold in the Chinese auto market and they intend to aim big from the very start by launching the Renault Talisman 2013, a flagship long wheelbase sedan destined towards young businessmen looking for a luxurious interior and great value. The Talisman is based on the Renault Samsung SM7 built by Renault Samsung Motors in Korea. Although the manufacturer has not revealed any technical specifications of the Talisman, we expect it to be similar or at least close to what you get from the Samsung SM7. That means the Talisman may very well sport a 2.5 liter V6 delivering 190 horsepower or a 3.5 liters V6 developing 258 horsepower. If the same V6 engines found in the SM7 will make their way on the Talisman, both units will more than likely be paired up with a CVT transmission. 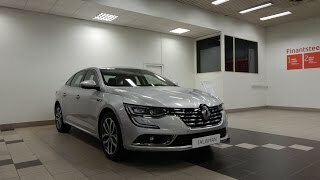 The Renault Talisman will be built in South Korea at the Renault Samsung Motors factory, and is expected to be available for purchase in China starting mid-June this year. The base price for the Renault Talisman 2013 is set at 318,000 RMB, meaning roughly 38,652 Euros, or somewhere aroud 50,800 US dollars. That's a bit expensive for a Renault at first glance, but as mentioned above the manufacturer intends on delivering a flagship sedan that will indeed turn heads and match the needs of the Chinese luxury automotive market. 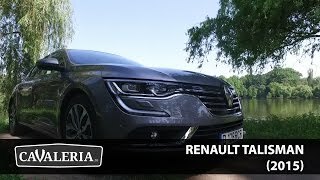 Whether or not the Renault Talisman will make a bigger impact than the Audi A4L which has pretty much ensured its success in China remains to be seen. Not to mention that BMW wants a share of the action as well, as they've already announced the BMW 3-Series long wheelbase earlier this year. 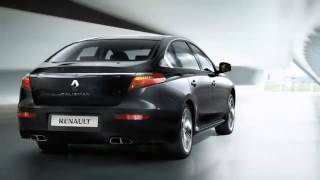 Nevertheless, Renault Samsung Motors plans on delivering less costly luxury sedans in the future by moving production in a new factory in China by the 2016, after which they plan on launching other, less expensive models as well. As far as launching the Renault Talisman outside of China, the manufacturer mentioned they might consider shipping the sedan in Russia as well as Latin America in the future, whereas European versions of the Talisman are set to launch later in 2014. We should also mention that the European variants of the SM7 based sedan will be partially built using Mercedes components, so the price tag might differ from the Chinese version.